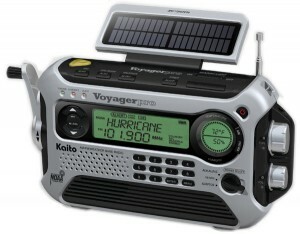 The Kaito KA600 Self-Powered Shortwave Radio. 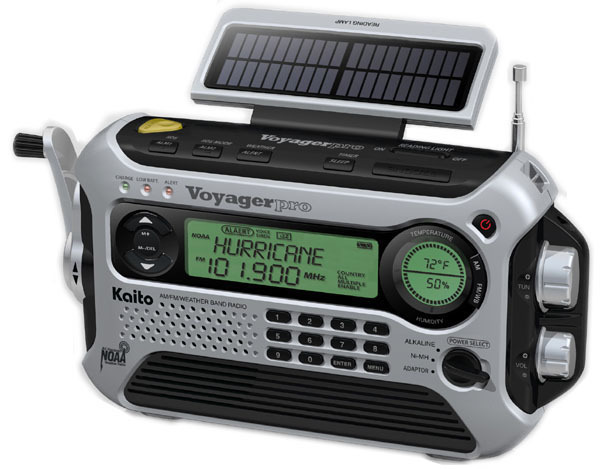 The Kaito KA600 Voyager Pro is a versatile self-powered shortwave radio. It can be powered via hand-crank generation or the built-in, tiltable solar panel. The radio also has a 5 LED reading lamp and multi-function LED flashlight. A very unique feature of the KA600 is the direct keypad entry–the only one we know of on a self-powered portable at time of posting. Built-in USB port lets you charge USB cell phones. This entry was posted in Kaito, Portables, Self-Powered and tagged KA600, Kaito, Kaito KA600, Kaito KA600 Reviews. Bookmark the permalink.